Are you cold? I’m cold! 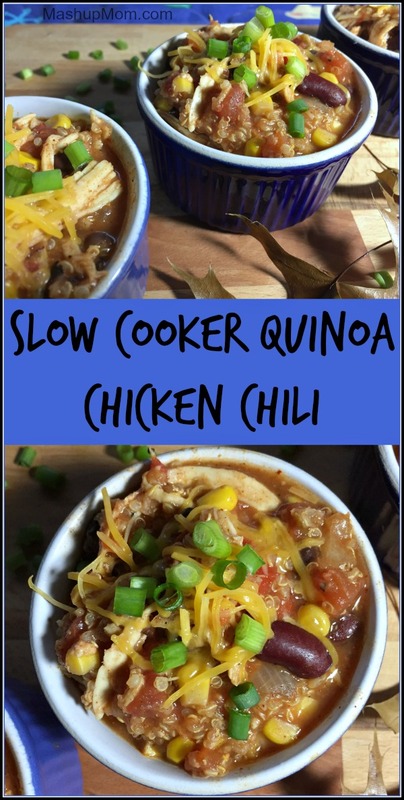 It’s a blustery day here in Chicago and the wind is whistling through my windows even as I type… making it a great day for chasing my garbage cans down the street, but also a great day for Slow Cooker Quinoa Chicken Chili. 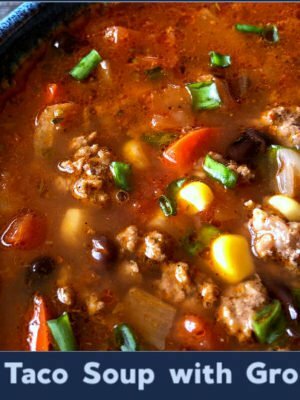 This easy Crock-Pot chicken chili recipe packs a wallop in terms of both flavor and texture, while adding the quinoa really makes it an entire meal unto itself. Well, while shopping at ALDI to replace some of my dry pantry goods this week (grr) I added a bag of quinoa to my cart, because: Organic quinoa for $2.99? Yes, please. 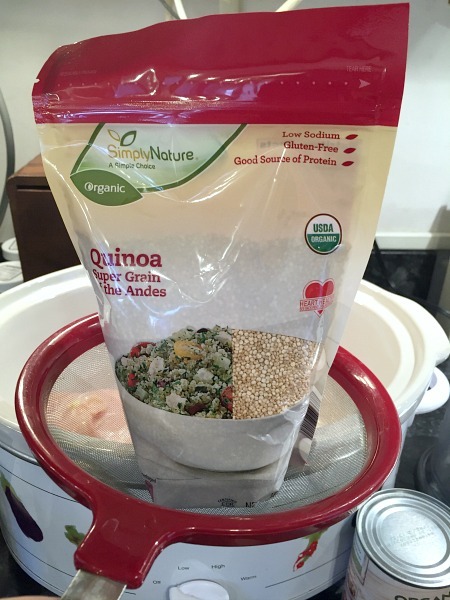 Looking at my lovely new quinoa made me realize that I haven’t cooked with it in a while, and I also had a couple of cans of organic fire roasted diced tomatoes sitting around on my counter (that I’d picked up two for $1.00 at Dollar Tree, of all places). 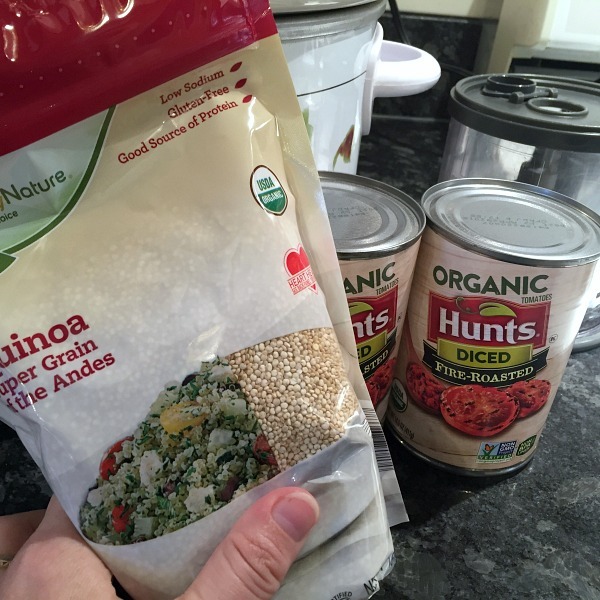 So today we’re trying out these Hunt’s brand organic tomatoes (or hey, any fire roasted dice tomatoes you happen to have on hand) and using my replacement quinoa to cook up a big pot of comfort food with this Slow Cooker Quinoa Chicken Chili recipe. Add all ingredients to your Crock-Pot. Stir and cook on low for 6-8 hours, or on high for 4-6 hours. Remove chicken from the slow cooker and shred, then stir the shredded chicken back into the chili. Oh yes, it really is just that easy! 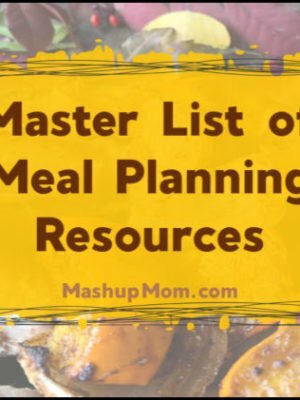 You have to like an easy dump and go Crock-Pot meal, and this one just requires a minimal amount of chopping — especially if you use the handy little food chopper I keep recommending to you (there’s a reason for that…). More on kitchen tools below, but meanwhile: Yum. This chili has all the things — and it’s even on the healthier side! 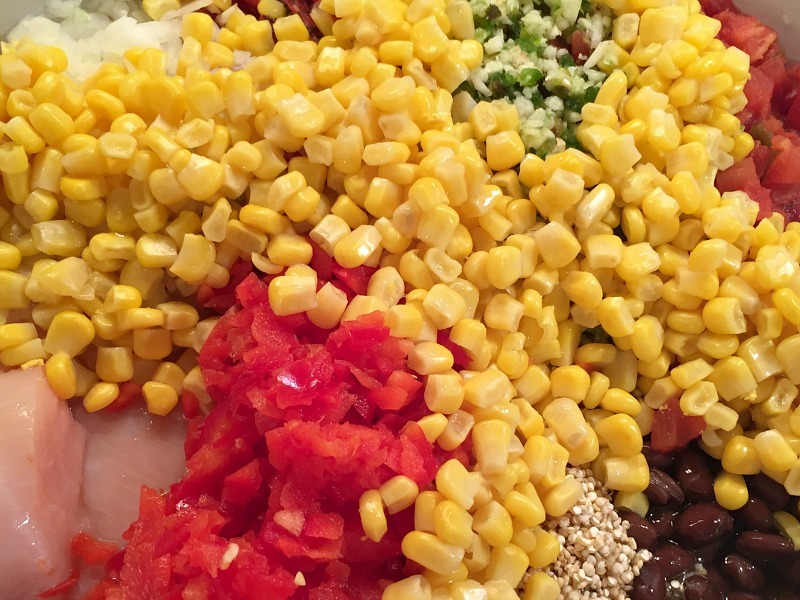 The quinoa adds such great texture, the corn adds a little sweet crunch, and the chicken and beans make it super filling and comforting. 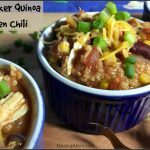 The chicken and the quinoa cook right in the chili with no need to pre-cook or to dirty another pan, and this slow cooker quinoa chicken chili recipe is naturally gluten free. Can I just pause for a moment to tell you how much I appreciate my little Ninja Express food chopper at times like these? I used it here on the garlic, jalapeño, onion, and bell pepper in order to reduce the chopping time (and save my hands) tremendously. A big seven quart Crock-Pot is also worth the (minimal!) investment for when you’re making big pots of chili, soup, stew, roasts, whole chicken, and more, while a fine mesh strainer is super useful for things like rinsing quinoa and rice. 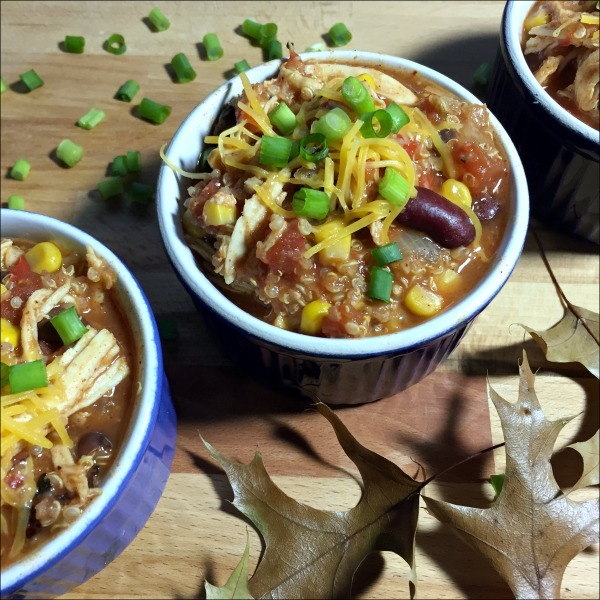 This easy Crock-Pot chicken chili recipe packs a wallop in terms of both flavor and texture, while adding the quinoa really makes it an entire meal unto itself. 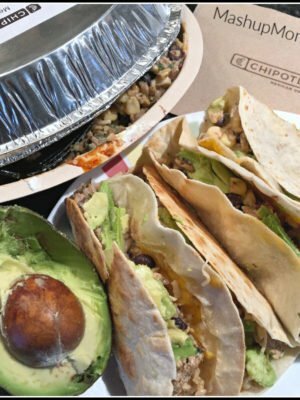 Add all ingredients to your Crock-Pot. Stir and cook on low for 6-8 hours, or on high for 4-6 hours. Remove chicken from the slow cooker and shred, then stir the shredded chicken back into the chili. 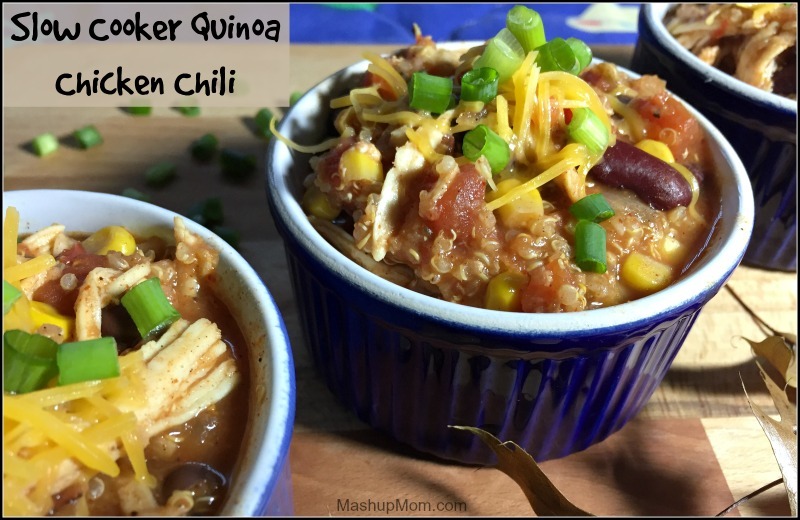 This slow cooker quinoa chicken chili recipe is naturally gluten free. I also love my Ninja chopper. 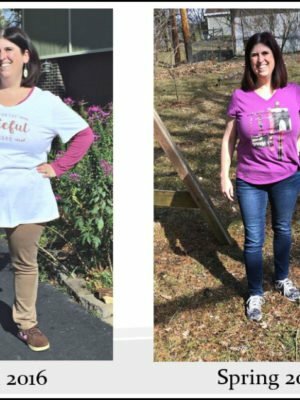 Mine came with a blender I got last summer at Kohls as a Bday gift to myself, lol. I am not sure it’s exactly the same as yours but can I comment how afraid I am of the blades!!!??? Holy smokes are they sharp as a razor! Have you made hummus with yours yet? Mine only holds 1 can of chick peas at a time, so I make it in 2 batches, but I have to soak the thing in order to clean it and it always scares me until it is safely put away, all dried. Mine has 2 blades and they rinse cleanly making a smoothie in the blender but the chopper/processor gadget similar to yours is much harder to clean when making goopy things like hummus. It’s still the best chopper I have owned, yet the scariest to clean! LOL those blades are wicked! I always try to wash them first and then put it up so it doesn’t fall in the dish drainer or something and get grabbed accidentally. Made this yesterday for lunches this week at work, and it is seriously yummy! 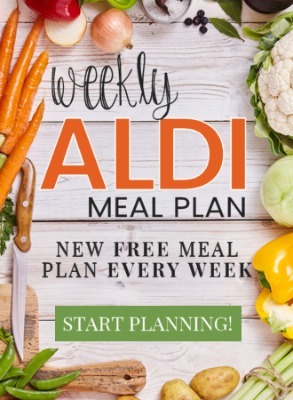 I made the following adjustments because I skipped over kidney beans on the shopping list & my Aldi doesn’t carry jalapenos: Used 1 can garbanzo beans for the kidney beans & several shots of jot sauce. It still tastes amazing.